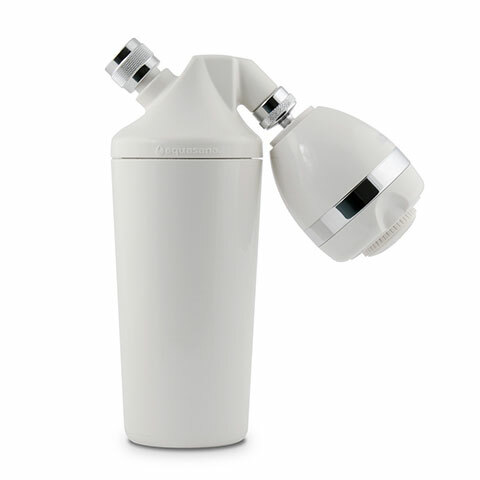 The very best way to keep water pure and fresh is to bottle your own in a glass container. 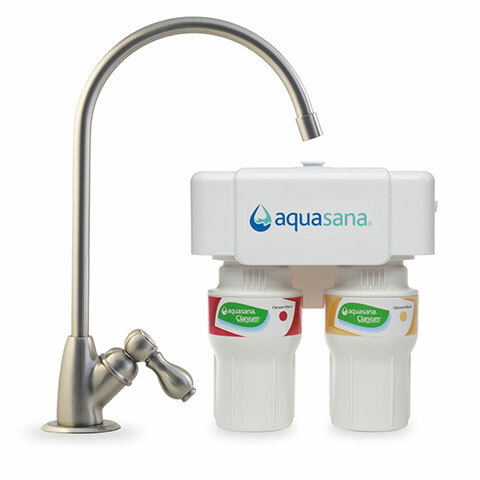 Better taste, better quality; a great way to entice yourself to drink more water! 550 ml Premium Borosilicate Glass Bottle with Blue Sleeve is rated 4.0 out of 5 by 26. Glass bottles are the perfect size at home or on the go. 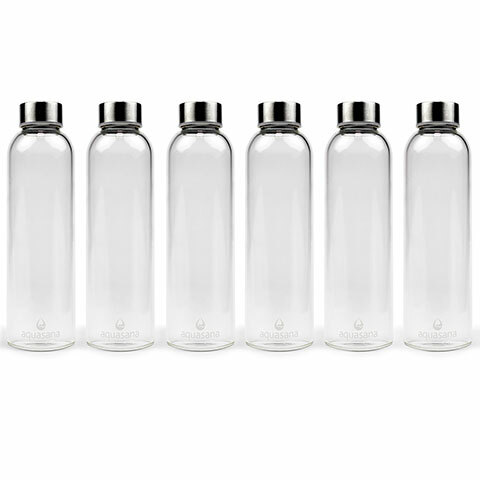 Lead-free, cadmium-free borosilicate glass with stainless steel lid and silicone sleeve - no plastic chemicals leaching into your water. Our colorful silicone sleeves protect your glass bottles so you can easily take them with you wherever you go. Sleeve design provides a nonslip grip by reducing condensation slippage. Silicone sleeves come in six different colors to choose from. Rated 5 out of 5 by Brian Dihydrogen Monoxide from Non-slip Got these a couple weeks ago. They add handling security with the gripping material and texture. Your hands won’t freeze when drinking out of them. Rated 5 out of 5 by woodsmyth from GREAT FIT I have had the covers for about a month. The colors are nice and the fit is perfect.The bottles are easy to hold with the covers. Rated 5 out of 5 by arfrogs22 from great drinking bottle Love this bottle, the sleeve is helpful should it fall. Fits into car holder and goes anywhere. Just cant say enough about this bottle. Very good value for the money!! Rated 5 out of 5 by elaineb from Very pleased with this bottle I love the fact that this bottle is made of borosilicate glass! I have used it for a week now, and would recommend it. Rated 5 out of 5 by Nprm from We love them We liked them soo much I bought 12 more. My kids take them to school. We use them for coffee also. I keep them filled with filtered water, I add gold & silver from Utopia Coilloidal Silver, & a drop of minerals from the "Health Ranger". I recommend them. Technically they r harder to break but the silicone sleeve is added protection & grip. Oh and I found Aquasana through my subscription to "Foodbabe".. another amazingly brave heroine that risks her life, as far as I'm concerned to keep people informed & advocate for better food ingredients. Check her out. Rated 5 out of 5 by Duke from Good Quality ,extra clear glass , You can't beat the quality and the price of these bottles and there is nothing safer than a glass bottle if you don;t want to be drinking the chemicals that come from plastic ,glass cleans better and is safer .I remember when all food especially milk came in glass containers ,plastic is cheaper not better ,treat yourself to a set of these bottles you won't regret it . Rated 5 out of 5 by Mamou from Helps me keep up with my daily water intake I fill five of the six bottles for me each morning to monitor my intake. The colors and empty bottles in the refrigerator help me not loose count yet have a smaller, lighter bottle than a 32 oz. or 64 oz. jug to haul around. 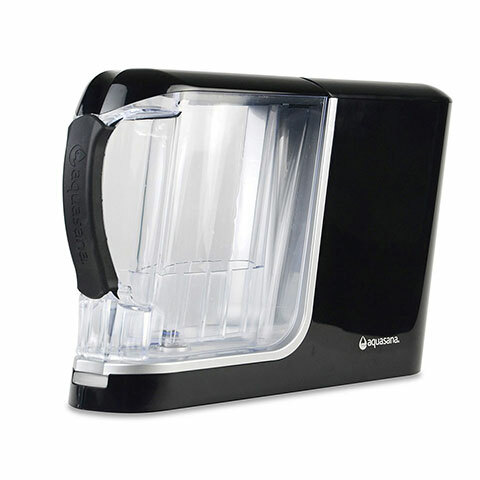 The glass helps me use the refrigerator filtration system without refilling plastic bottles. Rated 5 out of 5 by Retired in Georgia from I love these bottles I love the beautiful shape of the bottles and caps. I just think they look elegant. They fit easily in my fridge door and in my hand. I drink filtered water from them and fill them repeatedly during the day. They are nice and heavy duty, too. I have bumped them on my metal sink a couple of times but saw no cracks appear. I tossed the "snuggies" because of the plastic stink, but the bottles are wonderful. I have the other glass bottles and am looking at getting these for our nephews. Are these lighter weight than the other bottles? The other ones are too heavy for the boys to drink on their own. Do they come with the caps as shown? Yes, all of the bottles come with caps. How many bottles to do you get for about 20 dollars? Just one!! It is a 6pk of bottles. Please let us know if you have any questions! Thank you! I make high carbonation homemade sodas - will these hold the pressure? The bottles have not been tested for soda pressure so we do not recommend it. It is nine inches tall with the lid on, the glass bottle is about 2 and 1/2 inches wide, the cap is one inch and 5/8ths wide. It holds 20 oz, or 2 and 1/2 Cups of liquid. I love these bottles. My glass bottle shattered today how do I get a new one?